Despite the rapid devaluation of the Brazilian Real the nation’s president remains unconcerned. Stating that he thought much of the decline in the Brazilian Real was down to the prospect of increased US interest rates. A prediction which has now materialised with Temer believing that the likelihood of US interest rise was taking effect on a handful of emerging market economies. Generally emerging markets have suffered due to increasing demand for US bonds however the impact on the BRL certainly runs deeper than the appetite for US markets. Probably more accurately, he also cited the upcoming elections as a concern. The Government were forced to reinstate costly fuel subsidies after lorry strikes brought the country to a halt. The subsidy cuts were an integral part of the strategy to cut Brazils colossal deficit. However, with his inability to make policies stick investors have become unconvinced. As well as the currency whose value is in decline investors are also shunning Brazilian equities. Brazils main index the Bovespa has also lost significant value, losing roughly 6.5% before the central bank’s intervention last week. Central Bank intervention taking effect? The Brazilian Central Bank have acted swiftly in stemming losses, selling roughly $3.75 Billion of currency swaps. The Central Bank’s President pledging to provide assistance to Exchange rate and interest markets for as long as needed. “The Central Bank and the Treasury will continue offering liquidity in a coordinated way, be it in the currency market, be it in the interest rate market”. 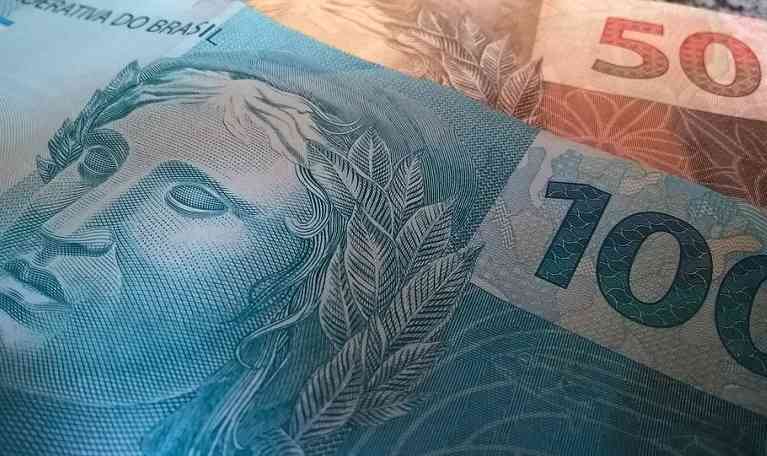 The willing nature of the central bank has stopped the rot and despite the recent US interest rate and sentiment for two other USD/BRL exchanges rate have traded within a tighter range. To date the Brazilian Central bank has only intervened thorough derivatives; it does, however, posses $382 billion in foreign exchange reserves. 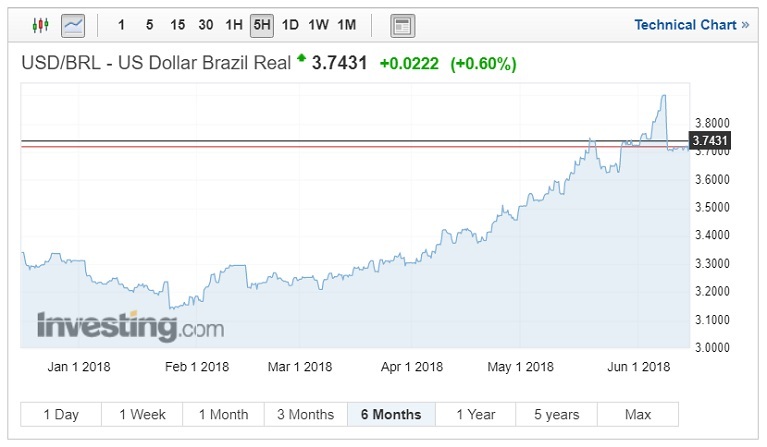 Last week the Brazilian Real touched its lowest point in over two years, although stabilised by the Central bank’s pledge of support the BRL has lost significant ground against the Dollar. The USD/BRL 6-month low was seen in January when the pair dropped to 3.14. However, the continuing political uncertainty has ensured that the USD has made significant gains. Last week saw the Brazilian Real lose just shy of 7%, almost 19% since February. The intervention although offering stability is far from a cure and traction will need to be made from Temer’s government in order for the Real to make any notable gains. Whilst traders expect, and the Central bank has demonstrated a willingness to support the currency, currently, the intervention is more of a delay tactic than a solution. The BRL is easily the worst performer despite the Mexican Peso being ravaged by continual NAFTA speculation. Experts are now predicting the Central bank will consider increasing interest rate which currently sits at 6.5% in order to avoid the currency being heavily devalued further and demonstrate a true desire to stabilise the economy, this being said the pressure will remain with the President in order to curb spending and get the sustainable solution to the economies problems.